GRAPEVINE, TEXAS – (April 21, 2014) – As part of the 30th Annual Main Street Days held in Historic Downtown Grapevine May 16, 17 and 18, JG Entertainment will debut the 1st Annual DFW ICON vocal competition. At this exciting competition, JG Entertainment expects to find promising talent in hopes of launching the next big star. 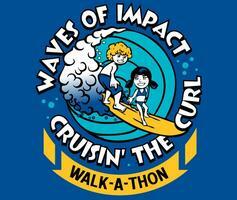 DFW ICON will also benefit Kidd’s Kids, the organization founded by the late Kidd Kraddick. DFW ICON will open the microphone to talented singers between the ages 7 to 24 years old. Winner packages exceed $20,000 in prizes including recording, branding, social media, photo shoots, image consulting, scholarships and more. Preliminary rounds will be held at the Palace Theatre May 16 and 17. Finals will be held on the 30th Annual Main Street Days Main Stage on May 18. Talent will be placed in four categories grouped by ages 7-11, 12-15, 16-19 and 20-24. Those wanting to compete must register online at www.DFWICON.com. Jonathan George is available for interviews. It is a great year for Young Artists. Congratulations to JG Entertainment artist Macy Medford for winning the 2012 Dallas Songwriters Song Contest. Macy and Jonathan were the Grand Prize Winners in one of the longest running international song contests for amateur songwriters. Their song 'Just Me and You' took home the gold in the 22nd Annual DSA Competition. Katy native and #LAMusicAwards Pop Artist of the Year nominee, Macy Medfordwill be performing and walking at the Waves of Impact Walk A Thon at the Katy Mills Mall this Saturday at 8am. Registration is happening RIGHT NOW! See ya there!